The nominations have come in and for the most part, they seem to be about what we expected. Sure bets like 12 Years A Slave and American Hustle showed up and received all of their expected nominations (including a supporting actor nod for Bradley Cooper that was on the fence). Still, depsite the fact Inside Llewyn Davis is the only major contender I've yet to see I was hoping to have it garner some awards attention as the Coens are usually Academy favorites though that doesn't seem to be the case this year as it received absolutely no love sans the Sound Mixing and Cinematography nominations. Philomena is the big story here. It received nominations for best picture, best actress and best adapted screenplay. I loved the film and it will easily make my top ten of the year so I was happy to see it and Steve Coogan receive some much deserved attention. Another big contender that wasn't necessarily seen coming was that of Nebraska. Sure we expected Bruce Dern and June Squibb to grab acting nominations, but Alexander Payne was also able to sneak his way into the best director category. Overall I am rather pleased both with the crop of films and the way in which the nominations were spread out this year. I'm surprised to see Tom Hanks not get an acting nomination for Captain Phillips while his counterpart in Saving Mr. Banks, Emma Thompson, (and that film entirely) seems to have already been forgotten. For more thoughts on the surprises and stubs hit the jump. In the Best Director category I was surprised and delighted to see Martin Scorsese get a nomination as I expected it to go to Spike Jonze or maybe even Paul Greengrass but was hoping the Academy might shy away from David O. Russell. Still, it matters little as the race is no doubt down to either Steve McQueen for 12 Years a Slave or Alfonso Cuaron for Gravity. Both are tremendous films and some of my favorites of the year so it will be well earned if either of them take home the statue on March 2nd. While I enjoyed parts of American Hustle it was not the great film I expected it to be though many people seemed to have loved the hell out of it. As he did last year with Silver Linings Playbook, Russell racked up nods in every major acting category (Christian Bale taking that expected nod from Hanks) as well as a best picture, best director and best original screenplay nomination. What didn't happen this year and what I somewhat was hoping would was a good portion of the nominations in major categories going to that underdog, that film not many have heard of or seen outside the film community in the vein of Beasts of the Southern Wild and The Artist. I was hopeful that this year the attention may fall on something like Fruitvale Station which I loved as a piece of art and that its first time director Ryan Koogler garner the attention Beasts first-time director did last year, but no such luck. The good news on this end of that spectrum is that it didn't completely default to her. That film, while feeling more in the vein of Drive and Shame in that it was well received by critics and cinephiles, would seemingly be left out of the main race for it's slightly unconventional concept. Despite this stigma Jonze was able to secure both a best picture and best original screenplay nomination. I didn't care as much for her as everyone else seems to, but was genuinely surprised there was no acting nomination for Joaquin Phoenix or for that matter, Robert Redford in All is Lost. I loved Rush, I really did and was hoping to see it garner a few nods, but the category in which it stood the best chance (a best supporting actor nom for Daniel Bruhl) was the category I saw as being the most crowded. In that best supporting actor slot I expected the Barkhad Abdi and the Jared Leto, but was happy to see both Jonah Hill and Cooper get nominated. These illustrate the Academy's ability to nominate comical performances if they're in the right film and both of these actors (Cooper being my favorite part of Hustle) are prime examples of guys who are so diverse they can genre jump and pretty much do anything they wish. I was doubtful Hill and The Wolf of Wall Street in general would receive as much love as it did, but am happy to see the Academy reacting as positively as they've seemed to. With Scorsese's best director nomination along with the best picture, best actor, best supporting actor and best adapted screenplay nods they are sure to see some gold come their way and while Chiwetel Ejiofor and Matthew McConaughey prove to be stiff competition it seems DiCaprio has as good a chance as ever to finally nab that best actor Oscar. While I really enjoyed August: Osage County and was happy to see Julia Roberts get a nomination for her work I was slightly underwhelmed when I heard Meryl Streep's name come out in the best actress category. 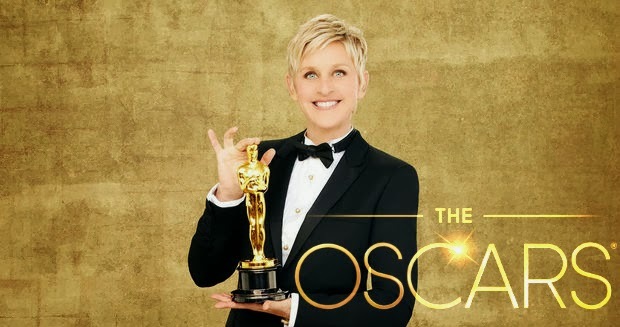 While the performance is great, it is, I would have still much rather seen the award go to someone like Emma Thompson who gave a performance that delivered someone we could easily hate at the beginning of her respective film and genuinely turned her around, peeling back the layers in a way we came to sympathize with her P.L. Travers. While Cate Blanchett likely has the best actress category on lock down I still hold out hope that Sandra Bullock may take that from her for as much as I appreciate what Blanchett did in the latest Woody Allen film (and kudos for the Academy giving Sally Hawkins a nod!) what Bullock accomplished more than successfully in Gravity should really be recognized. With all of that said, I truly hope the Academy doesn't dump everything on American Hustle. In fact, despite its leading ten nominations I don't see it winning any of the major awards. I realize how much everyone is in love with Jennifer Lawrence and I get it, I have nothing against her, but if Lupita Nyong'o doesn't take home that supporting actress statue I may just give up on these awards all together.